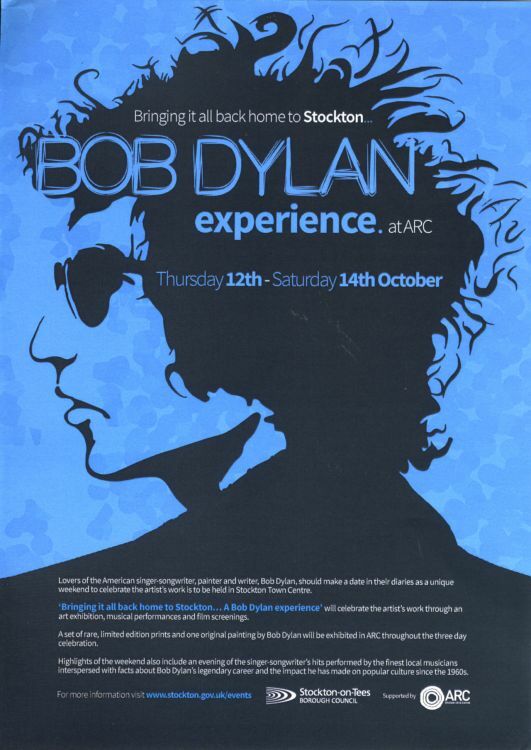 Flyer for the 2017 October 12-17 event in Stockton-on-Tees, UK. Art exhibition (limited edition prints and an original painting by Bob Dylan), musican performances and film screening. Thank you to Hanns-Peter Bushoff for scan and information.